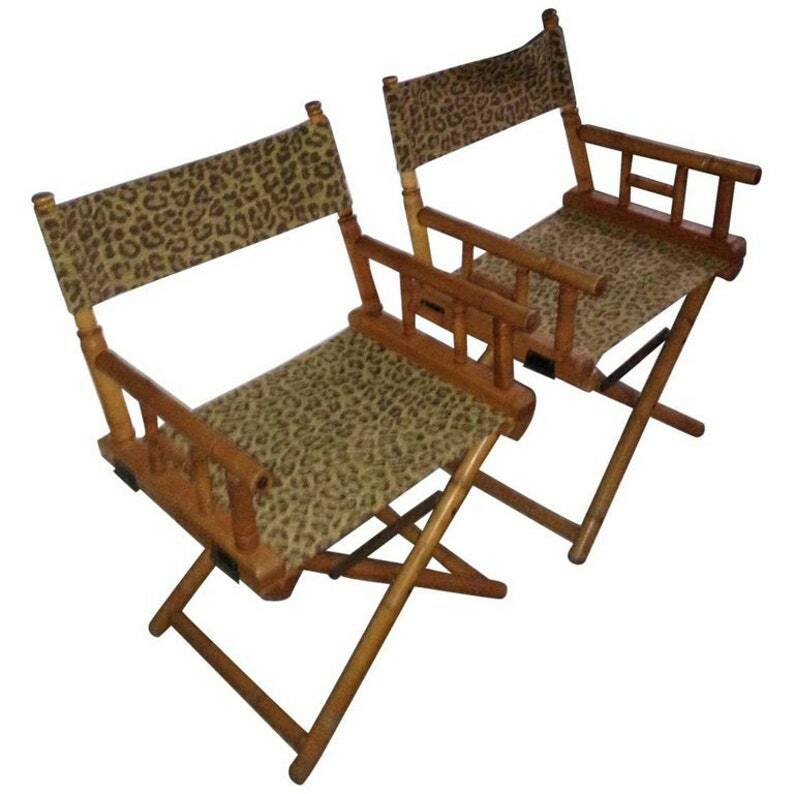 Directors chairs, pair, upholstered in leopard print design fabric. Made by Telescope Chair Company. Midcentury. Sturdy, comfortable. Fold up easily with brass hinges for transport to beach, concert, picnic, summer porch, winter study. Priced as a pair. Direct your safari while sitting pretty in your living room. Or under cover of a dome of stars in the Serengeti. Ideal summer seating for beach and lake house living. Excellent vintage condition. Solid, sturdy, fold up easily with brass hinges. H 33 in. x W 21 in. x D 20 in. We offer many more unique vintage finds. Please head to: unearthedhome.com.